100 line illus. 56 tables. Most labor economics textbooks pay little attention to actual labor markets, taking as reference a perfectly competitive market in which losing a job is not a big deal. 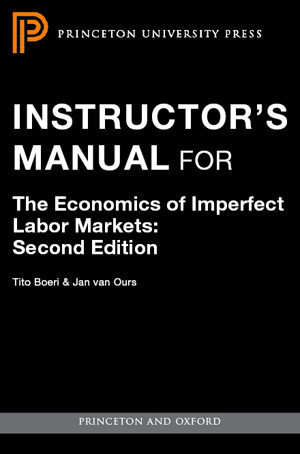 The Economics of Imperfect Labor Markets is the only textbook to focus on imperfect labor markets and to provide a systematic framework for analyzing how labor market institutions operate. This expanded, updated, and thoroughly revised second edition includes a new chapter on labor-market discrimination; quantitative examples; data and programming files enabling users to replicate key results of the literature; exercises at the end of each chapter; and expanded technical appendixes. 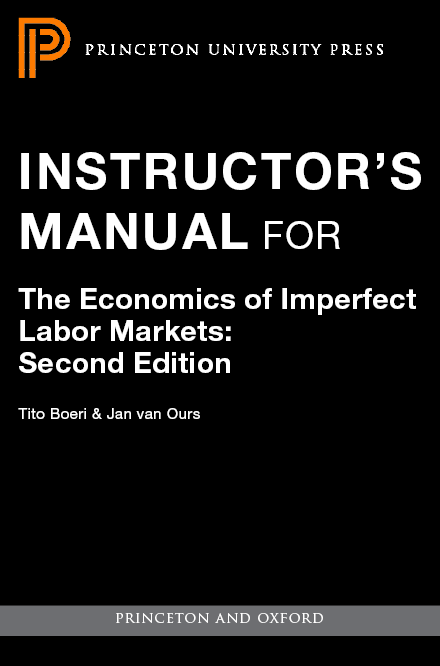 The Economics of Imperfect Labor Markets examines the many institutions that affect the behavior of workers and employers in imperfect labor markets. These include minimum wages, employment protection legislation, unemployment benefits, active labor market policies, working-time regulations, family policies, equal opportunity legislation, collective bargaining, early retirement programs, education and migration policies, payroll taxes, and employment-conditional incentives. Written for advanced undergraduates and beginning graduate students, the book carefully defines and measures these institutions to accurately characterize their effects, and discusses how these institutions are today being changed by political and economic forces. Tito Boeri is professor of labor economics at Bocconi University in Milan and scientific director of the Fondazione Rodolfo Debenedetti. Jan van Ours is professor of labor economics at Tilburg University in the Netherlands and professorial fellow in economics at the University of Melbourne.